Anita Devasahayam has enjoyed the best of both worlds as a journalist and editor for 12 years and a media relations practitioner for also 12 years. 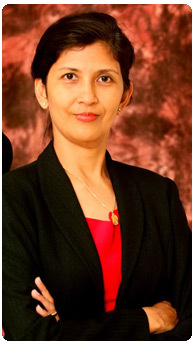 She is currently IBM Malaysia’s country manager for brand systems and communications. She previously served as the head of media relations for Maxis Communications, the leading cellular service provider in Malaysia, and was the Malaysian project director for Phang & Naughton, a leading Hong Kong PR company. As a journalist, Anita has worked for The New Straits Times, Berita Harian, The Star and the New Zealand Herald and contributed to various trade weeklies, print magazines and online publications including Knight Ridder financial news, Asia Computer Weekly, CNET Asia, ZDNET Asia, Newsbytes, Intelligent Enterprise Asia, C:Level, Nikkei Electronics and Reader’s Digest Asia. Anita was among the first women reporters in the country to specialise in technology in the 80s for regional publication Asia Computer Weekly. She then joined The Star’s In.Tech and rose in ranks to assistant editor, where she co-managed a team of 12 reporters; increased pagination from 16 pages to 64 pages; and grew advertising consistently during her tenure. In event management, Anita has assisted in organising the annual MICROFEST fair in Kuala Lumpur and Penang, the most popular and biggest PC trade show in the country. She has also organised seminars, workshops, training sessions and conferences including an ASEAN level medical conference and numerous other corporate events. In media relations, Anita has significantly raised the profile of local companies such as Maxis and Qubeconnect, and multinationals such as Sophos plc, Alcatel and Samsung. In training, she has conducted courses for press relations managers and executives in AMD, AmBank Group, EON Bank Bhd, ExxonMobil Exploration and Production Malaysia Inc, Kulim Technology Park Corp Bhd, Motorola Malaysia, Public Mutual Bhd, Sara Lee (M) Sdn Bhd, Penang Seagate Industries (M) Sdn Bhd, Telekom Malaysia’s Multimedia College and Texchem Resources, among others. Digital media trainer Julian Matthews is a pioneer in online journalism in Malaysia. He was the first Malaysian correspondent for AsiaBizTech.com, a Nikkei Business Publications, Inc website based in Silicon Valley in 1997. Besides Nikkei, he was also at various times, the Malaysian correspondent for some of the most prominent online technology and business publishers in the Asia Pacific region including CNET, ZDNet and Newsbytes, a Washington Post-Newsweek subsidiary. As a journalist, Julian has contributed to the New Straits Times, The Star and The Edge in Malaysia and the New Zealand Herald. He is skilled in writing and editing news stories as well as doing analyses and features for print and online publications. Julian began his career as a freelancer for New Straits Times, and then as a journalist with The Star in 1984. He switched to travel writing in 1989 and won the Tourist Development Corporation’s Best Travel Writer award that same year. Since 1991, he has established a career as a professional business and technology writer for various corporations, trade publications, magazines and online media. As a web designer, he has developed various websites with strong emphasis on marketing niche services and raising awareness for non-government organisations. As a consultant, Julian has extended his services to multinationals such as IBM, HP, Accenture, Nestlé and Malaysian companies Maxis and Proton. Julian designed, developed and presented over 30 workshops on Multimedia Journalism, Social Media Journalism and Mobile Video Journalism for reporters, editors and photographers of The Star, Bernama and RTM which he designed and developed specifically for media professionals transitioning to online media. As a trainer, Julian has trained executives and senior management of multinationals on Effective Media Relations, Effective Investor Relations, Online Advertising, Online Marketing, Corporate Social Media and Crisis Communications. 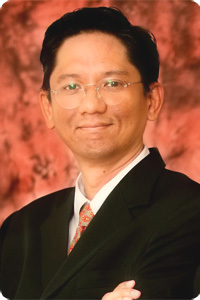 Julian is the co-founder of media training, consultancy and news writing services company Trinetizen Media Sdn Bhd.